The best way to maintain weight loss in the long-term is through more exercise rather than less food, new research finds. People in the study maintained weight loss of 30 pounds or more for around ten years by being active. They did more physical activity and expended more energy each day than those who were obese. Successful weight loss maintainers did around 12,000 steps each day, compared with 6,500 by obese people. In other words, successful weight loss maintainers ate more but burned it off through exercise. Your activity levels matter a lot more than what you eat in the long term, the researchers concluded. 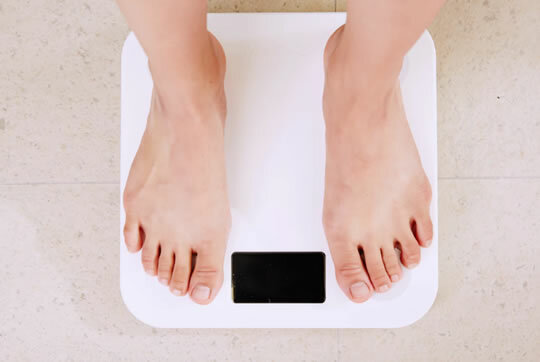 “This study addresses the difficult question of why so many people struggle to keep weight off over a long period. The study compared successful weight loss maintainers with one group of people with normal body weight and another group who were obese. Successful weight loss maintainers did twice as many steps as people who were obese, the results showed. Exercise clearly beat restricting calorie intake for maintaining weight loss. The results are the same as those from an analysis of people who had been on the reality TV show “The Biggest Loser”. Again, people who maintained their weight loss did so through increased activity. Changes in diet had little effect on maintaining weight loss over the years after they finished the show. The study was published in the journal Obesity (Ostendorf et al., 2019).